For the past 27 years, I have promoted businesses, products and services for other people (and recently my own) through digital marketing. One thing that I found necessary for the success of these promotions was Keyword Research. Over a year ago, I was introduced to Jaaxy Keyword Tool, and it has impressed me as well as raised my online marketing skill to another higher level. In this review, I will share with you why this is so? Plus, I will explain the importance of keywords, other keyword tools and how they fare against Jaaxy, what is Jaaxy, how to use it, the power of Jaaxy and how it can help your business to be more successful? Web based application – you can use it on any device as long as there is Internet, even on mobile devices! Uses a hub of powerful servers to produce quick results, within seconds! The keyword tool that every digital marketer, business owners, and domain sellers must have! What is Keyword Research and Why Is It Critical to Your Business Success? First of all, when you start a business, you must find out if there are people out there interested in your product or service, right? Sure, you can pay lots of money to find this out. But what if you can find out how many people are searching online for what you are selling? And at a cheap price? Or even Free? If there are thousands, or better still hundreds of thousands of people searching monthly for a product or service similar to the one you are selling, then you know for sure there is a target audience. You would have found a profitable niche! You will need to do Keyword Research for this important first step of your business. Keyword Research can help you find out if there are people searching monthly for a product or service like yours. Plus, it can tell you how many people are searching for it. After you have decided to compete in this niche, you will need to do all the usual stuff such as create a website to showcase your business and your products or services. But how are people going to find your website? Sure, you can go around and meet people and tell them about it. But that is slow and time consuming. Nowadays, businesses rely on digital marketing to create awareness of their brand and promote their products and services online. To do so, they do Keyword Research to find out what are the keywords people are using to search for similar products and services. It is important to also know how many people are searching and the SEO (Search Engine Optimization) Potential of the keyword. More about the latter further down this article. With the keywords that have high traffic and SEO Potential, businesses then use them to promote their business, product and service. There are many ways to do this; for example writing a blog post or running an online ad campaign. To achieve all the above, you will need a very good and effective Keyword Tool. When I first started doing Keyword Research, I used to rely on Google Keyword Planner. It used to provide very accurate and exact data that was very useful. But now Google Keyword Planner changed. In order to monetize the tool, Google now only offers accurate data if you have an active AdWords account, and the monthly ad spend is not low. If you do not satisfy their criteria, you will see a range of numbers instead of a specific search volume. For example, for the keyword ‘womens watches’, if the average monthly search traffic is around 1800, they will show you that exact number if your AdWords account has all the criteria qualified. If not, you will get a range of numbers like 1K – 10K. As you can see, this range is not very helpful at all. In addition to poor data that is not accurate, Google Keyword Planner was not able to tell me if the keyword has any SEO Potential. So I started to look around for other keyword tools, to look for better ones that could provide clearer and more useful data. I found many that provided lots of data. But none that were useful or have any value. Before discussing about Jaaxy, let me discuss with you about other keywords tools out there in the market. They require you to install something. I tested a few providers, and had to install a software. Over time, the information was all useless. I uninstalled them all. The data are just guesses and estimates. Again, useless. They use Alexa as the key factor in determining competition. Sure, but what else can help decide the keyword? No surprises these providers can offer nothing else. Need to do several searches to accomplish one task. This is a waste of time. The tools do not pull results from ALL the search engines. Again, useless! If you encounter any of the above five points, chances are the keyword tool you are looking at is a low grade one. Worst case scenario, you would be required to pay more for more useless and meaningless data. How much competition does the keyword have? How much average monthly traffic does the keyword have? Okay, okay. The last metric is something that is not even a keyword tool can give you. You have to think of it, and use a bit of common sense to come up with a keyword that makes sense. But it is still a metric, to me. But the First Two Metrics are of the Utmost Importance for any digital marketer or business owner. And they are the two that Jaaxy can ACCURATELY capture. Something no other keyword tool is able to do better or more efficiently. Why Are the Two Metrics So Vital? Keywords with low competition and good traffic means that they are SEO optimized and ready. If you can find them, you can dominate the search engines by using those keywords and create content relevant to that keyword. You can also use them to create successful online ad campaigns. BUT you MUST be able to find those keywords. And Jaaxy is able to help you do that. Finding Keywords with Jaaxy is Easy! 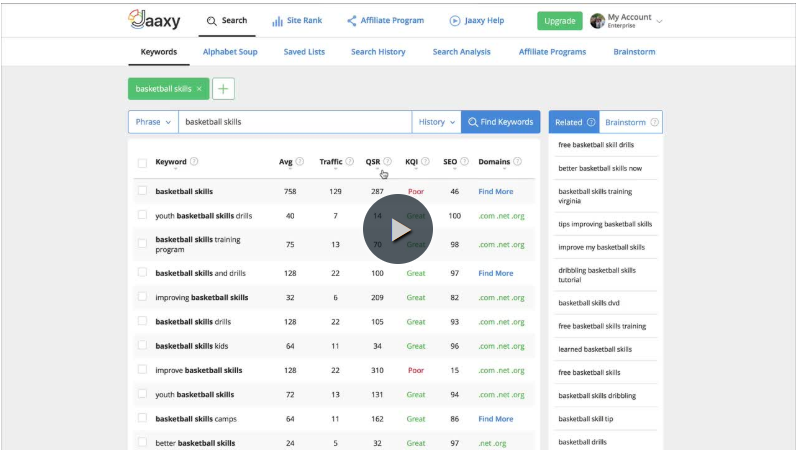 Here is a video showing how Jaaxy can help you find the keywords with high traffic and SEO Potential. The video will explain about keywords, average monthly searches, estimated traffic, Keyword Quality Indicator, and Domain Search. There is also an explanation about QSR, which is the SEO Potential that I have been talking about. Watch the video now! (opens in new tab) After you watched the video, remember to come back and finish reading this review. 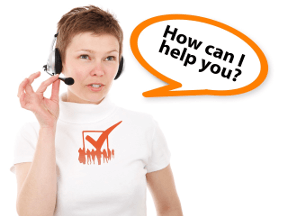 The Jaaxy support team is fast, efficient and reliable. Ask any question about Jaaxy and related topics, and they will give you timely and useful answers. They are also very polite and friendly. The training is top notch. There are helpful videos and plenty of documentation to help you learn and understand how to use Jaaxy on a deep level. The above is just the tip of the iceberg of what Jaaxy can do. There is the brainstorming function to help you find the right and profitable niche, finding good affiliate programs, analyze your competitors’ websites, finding out where your sites are ranked on Google, create keyword lists, and more. Of course, how many of the features you get depends on the plan you purchase. And that is one of the beautiful things about Jaaxy too. There is a plan for the keyword research novice. Another for the person who understands the importance of keyword research. And the power user. The latter two are ideal for business owners, bloggers and especially digital marketers. If you are serious about your business or you are a digital marketer and need to find keywords to beat your competition and impress your boss, I highly recommend the Jaaxy Enterprise plan. Both Jaaxy Pro and Enterprise are brilliant. Great time savers and delivers superb results. Of course, Pro has most of the functions where Enterprise has all of it. If you are still a little unsure, you can still go for the Jaaxy Starter to give this awesome keyword tool a test drive. I guarantee you. You will love it! Oh, and this tool is web based. This means you can access it from anywhere as long as there is Internet connection. You can even do it on your phone. So, if you are suddenly inspired to check out a keyword, you can do it even as you queue for your coffee. 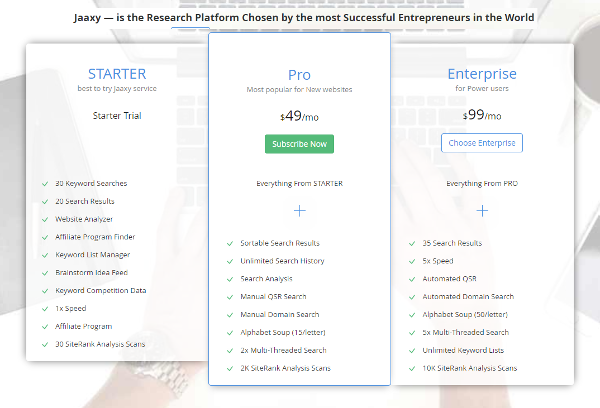 Ready to start your own personal research with Jaaxy? Use the keyword research box below now! As mentioned at the start of this article, I had been doing digital marketing for 27 years. Over the near three decades, the digital landscape has changed a lot due to the continual technological advances. The same is true for keyword tools. Today, I find that Jaaxy is the best keyword tool for any one who is doing business or marketing on the Internet. If you are a digital marketer, you will need this. Just like I needed it. You will need it to find the right keywords for your campaigns, blog posts, and more. If you are an entrepreneur, you will need this for your online business or the online marketing efforts for your business. 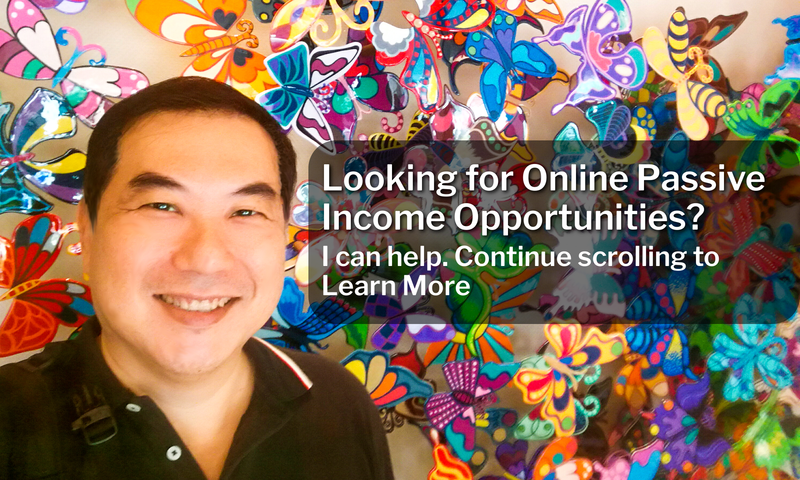 I am also an online entrepreneur. And I found Jaaxy really useful for finding the keywords that can drive lots of traffic to my websites. For my e-Commerce store, it is excellent for finding keywords to promote my products. I am giving this keyword tool full marks – 5.0. Use Jaaxy and Be ahead of your competitors. 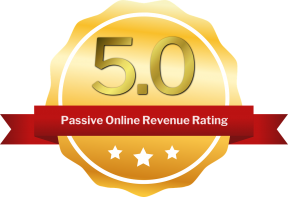 If you have ANY questions about this review – The Jaaxy Keyword Tool Review – Truly Awesome, ANY at all, please submit your questions as comments below. I will be happy to help out. I have been using Jaaxy for years and I love it because it is so easy to use and therefore saves me a lot of time when finding highly searched low competition keywords. I highly recommend it to anyone who wants Google Traffic. I use Jaaxy as well and I have to say that even though this is the only keyword tool I’ve ever used, I don’t think I’ll be trying any others for any other reason other than research purposes, that’s how much I love this tool and I think it’s made creating content much easier and more fun for me knowing that I’m going to be creating content around targeted keywords and getting indexed. Thanks so much for the awesome review! I definitely plan to continue using the Jaaxy keyword tool! Good plan Aria. I have tried many other keyword tools, and I can assure you that you have made the right choice. Jaaxy is truly the best keyword tool in the market right now. And you are right, it really helps to get content we create get indexed and ranked on search engines like Google. Thanks for posting this article, Jaaxy is truly amazing. Several years ago I developed a website had it up and running and never able to get any traffic. Finding Jaaxy about six months ago and applying the keyword research tool to my website has made all the difference in the world and I am so happy that I found it. I am continuing to gain traffic to my site, in fact last month my traffic was up 280%, I was so pleased. I think to get ahead in online marketing Jaaxy is the one main tool to have in your marketing toolbox. Hi Dena. Wow! 280%! That is fantastic! Thanks for your testimonial and proof that Jaaxy really helps to drive and increase traffic to a website. I too found the same to be true. The use of keywords that has high traffic and low competition really helps to achieve that. I agree with Dena that this is a very informative article. My background is Mass communications with a specialty in business writing and leadership language. From my perspective, the biggest skill in business writing without which all others are useless is clarity. I think Jaaxy by helping you choose good keywords for your niche also helps you become more focused and thus a more clear thinking writer. This makes it easier for your readers to understand your message, and thus likely to want to read your blog posts. Thanks for your really good perspective, Thabo. You are absolutely right. Jaaxy does do that. Whenever I write an article, the keywords do help me to be more focused. And I am able to write better. I know nothing about keyword research when I started online marketing a couple of years back. Now, I believe it is definitely an important element of the whole business. And getting the most helpful and functional keyword research tool is a must. 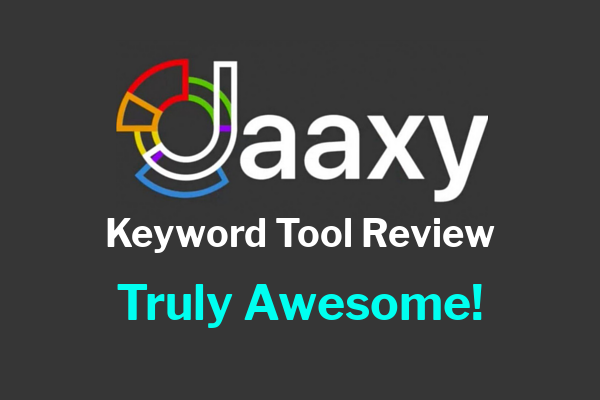 Your review and recommendation of the Jaaxy Keyword Tool is one that all of us must look into. Thanks for doing this review. Very helpful. I have been using Jaaxy for about a year and recently went to the pro version. Although I am a long way from having “keywords” completely figured out, Jaaxy does help when brainstorming ideas. I would recommend it! Awesome article on keyword tools, I also have used many of the keyword tools online in the past. I have had the best experience with Jaaxy keyword tool of all the keyword tools I have ever used, Jaaxy pays for itself in a very short time. 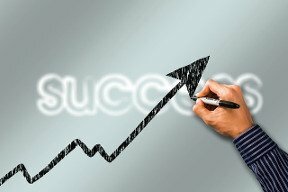 You will find more success using Jaaxy, plus it saves you so much time. Thank you so much for another excellent post. Your article and all the testimonials left here on your website have really convinced me to start using Jaaxy. I know that keyword research is crucial within the online business, but until now I have been concentrating on building my website and learn many other important skills. Now it is high time to start working on getting visible on the search engines. I better dive into the Jaaxy world the sooner the better! Glad you are convinced and have started to use Jaaxy. Yes, Keyword Research is critical for the success of businesses when promoting online. This is because most customers begin their buying cycle with searching online. And they use keywords to search for a product or service. So, by using the right keywords and creating content that is able to rank high on search engines, businesses will be able to capture these potential buying customers. It is important to build a strong foundation for your website. You did the right thing. Now that the foundation is strong, start to look into the other elements of online marketing to promote your website and what you offer. One of the elements is definitely Keyword Research and using it to gain Online Visibility. I have to admit. I am the type of person that always looks for something better. I have been using jaaxy for quite a while. I thought if Jaaxy is this good there has to be other keyword tools that are as good or better, maybe cheaper. Well after long research. Sadly NO. I went back to Jaaxy defeated, but happy. It does everything I need it to do and has never let me down. Hi Christina. Thanks for the testimonial of Jaaxy. This is without a doubt the most powerful keyword tool ever. I’ve used many over the years but Jaaxy is above all the rest. You can’t build a website and rank for your posts without this awesome tool. It doesn’t leave anything out. You can be a cut above the competition with Jaaxy. Thanks Rob! Totally agree with you. Jaaxy is indeed the best keyword tool. Such great and detailed information about Jaaxy! I’m glad to know that out of the others you have used, you have had the best experience with it. It makes me more confident knowing I can use the best one out there. Thanks for the info! This is the most thorough write up I’ve found on Jaaxy yet. Very well done! You pointed out some lesser known features that I’m going to go play with right now. Great post and very well written! Jaaxy is THE best keyword search tool available, hands down. I’ve been using it ever since I started my blog, and it does make the difference. You’ve nailed it explaining how it can help your online business grow. I appreciate seeing both pros and cons as it’s important that I know what I’m buying. With this program though seems to have everything covered. This is by far the most comprehensive info I’ve seen about Jaaxy! I noticed the Pro list is much bigger then the cons and for good reason. Jaaxy quickly takes you from no experience with keywords to knowing just what your doing quickly. Thanks for presenting this so well! Thanks Walter! I am happy to hear that. And I wish for many people to come to this article to read all about Jaaxy. 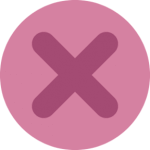 Hi Timotheus – I love the way that you’ve laid out this post – makes it very clear to the user why one should use Jaaxy and the benefits of doing so. I also, enjoy Jaaxy for the ease of functionality. Also , great for Wealthy Affiliate users as it overlays really nicely over the home page. Wow I cannot believe you have been doing this for 27 years. I am guessing you would be a fabulous teacher of SEO then! I also really like Jaaxy. Its quite useful in ranking and helping to search. I use it all the time. So thank you for reviewing this great tool. Hi Ariel. Yup! I have been doing digital marketing ever since the Internet started. And you are right. I am currently a lecturer in the university teaching marketing communications and digital marketing. SEO is one of the topics I teach. Jaaxi keyword tool is the only that I use every day. I needed a tool that gives me relevant keyword variations along with the scope of my search. I found this at Jaaxi and recommend it to anyone who wants to find the best keywords. Thanks for sharing. I have been using Jaaxy for several years. It is every improving. You are correct in stating that everyone may not use all of the tools available, you would spend too much of your time. It is a great research tool and Keyword tool. The free account is only available to those who have an active Wealthy Affiliate account, you still have the ability to use the free 30 search’s though. Without the Jaaxy tool, I do not think I would have the traffic and sales to my site that I have today. Hi John! Thanks for your sharing. It is good to know that I made the right choice and did justice to Jaaxy. Fantastic that Jaaxy helps you get traffic and sales to your site. That is truly a great benefit of Jaaxy. It truly is a powerful keyword tool. I have heard so many great things about Jaaxy. The benefits you’ve explained over other keyword tools has me all the more convinced that we need to look into this tool for our website. That is great they have a free option to try it out and see your results too. You’re welcome Tara. Jaaxy is really awesome! Glad to hear you will be trying out the free option. You will find it very powerful. I recently wrote another article about Jaaxy and how you can find money making keywords with it. Click here to read about it. I like how you pointed out how the data that populates on other keyword tools are either hard to understand or is not very helpful. I do agree. I also loved Jaaxy and I use it daily. I currently have the Jaaxy Enterprise plan, I like having my research results automated and I need the 5 tabs for my searches. This is a great review, you have touched on all the benefits of Jaaxy. I really enjoyed your post. I use Jaaxy as a keyword tool and I love it. 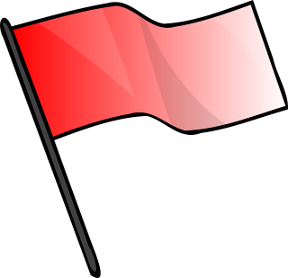 It is easy to use and so helpful when I am writing my content for any of my sites, or even for those of others. It helps me to hone in on the best keywords and allows me to decide the ‘best’ one. Before Jaaxy, I was a ‘fish out of water’ – now, I ‘see the light’. Thanks for the reminder. I hope others will have the success I have while using Jaaxy. Hi Michelle. Glad you like my review. You said it right. 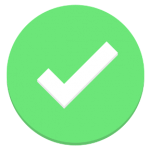 Jaaxy is easy to use, and a very helpful tool. Hi Timotheus, I’ve used a variety of keyword research tools over the last decade, starting with PC-based tools, trying out some early web-based ones and eventually some of the current web-based tools. Many keyword tools have come and gone in that time. I love its speed and keyword tracking capabilities and that it’s so easy to brainstorm ideas and come up with relevant keywords in no time at all. Hi Gary, thanks for sharing your testimonial. Your experience is very much the same as mine. Like you, I too now find Jaaxy the best keyword research tool, and I never looked at another since. Next PostNext How Jaaxy Can Help You Find Money Making Keywords Easily?